The salad I had was pretty close to the recipe I’m sharing today but the times that I have been back to George’s, the salad is no longer on the menu (that was 15 years ago). 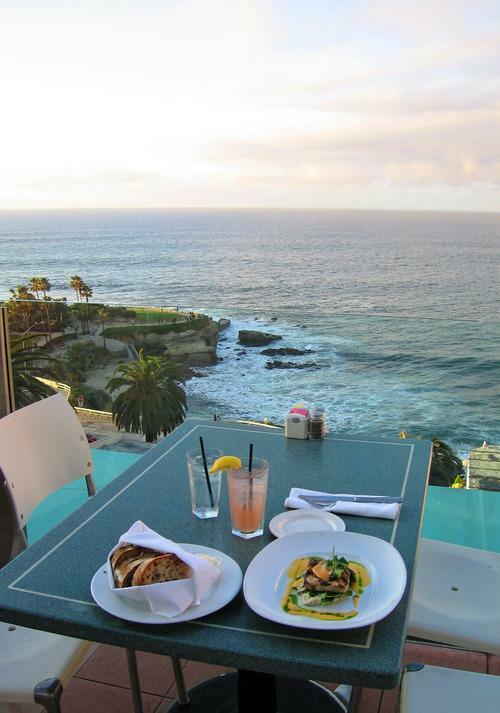 However, every time I go back, the food is always amazing and if you ever find yourself in La Jolla, you have got to stop by George’s on eat on the terrace! I never remembered the exact name of the salad, so I just call it the La Jolla brie salad. The original salad at the restaurant was; baby spinach, sweet tomatoes, apples and pecans mixed with diced brie. However, I add bacon (of course!) and switched out the apples for strawberries and I love it with sugared walnuts or pecans (versus just plain). So now I use the LiteHouse dressing. I also sometimes use the LiteHouse Balsamic as well! Wash baby spinach leaves and pat dry with paper towels. 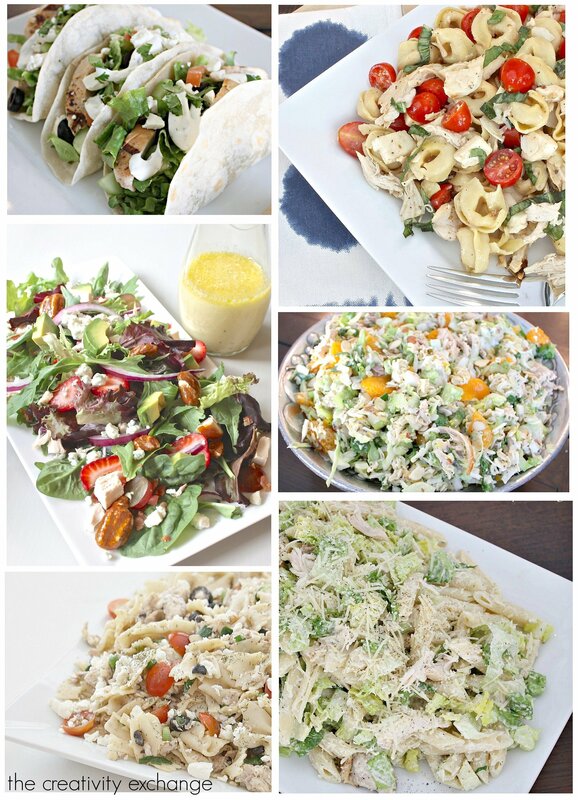 Toss all ingredients together except the dressing and chicken. When ready to serve, toss in dressing and add shredded chicken to the top of each individual serving. 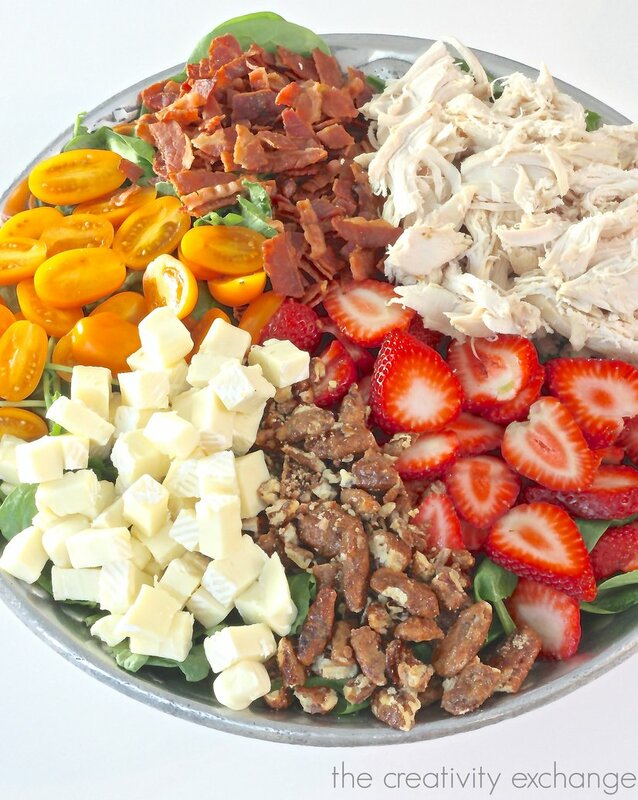 I hope you give this salad a try because it really is so good and it’s easy, especially in the summer when it’s so hot. 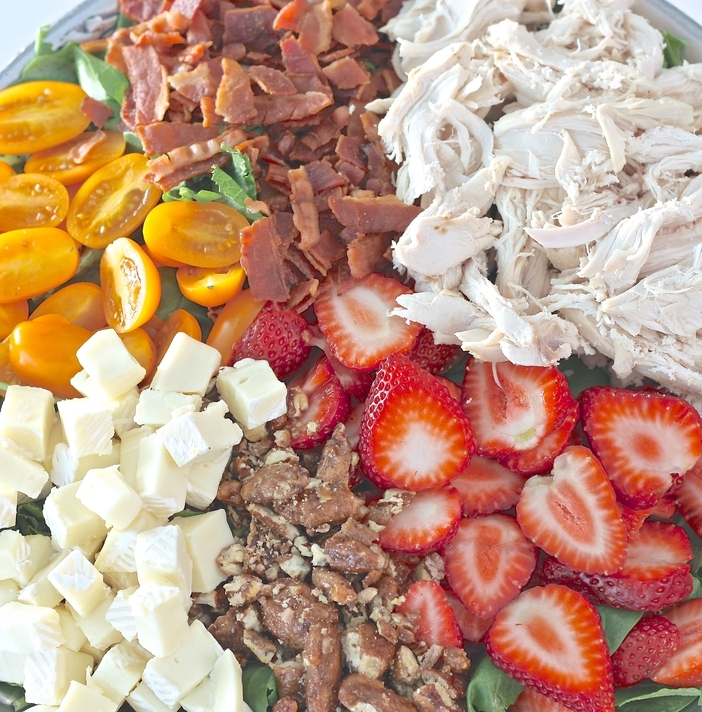 This is also a big salad that I like to make when I have to bring something to a party or gathering and I toss everything right before serving.